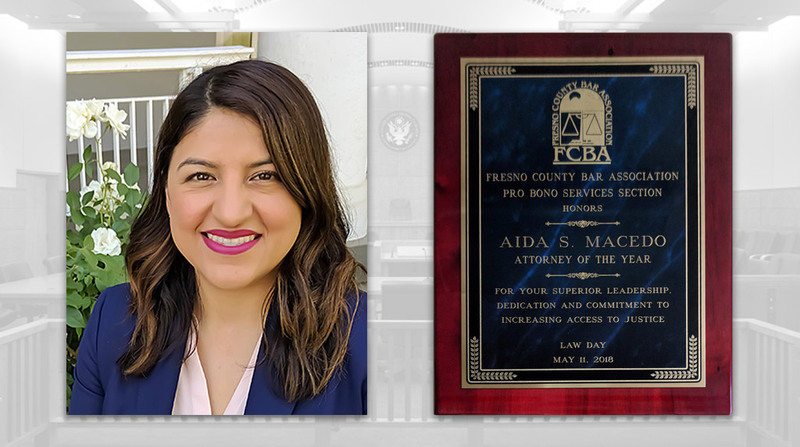 Aida S. Macedo was named Pro Bono Attorney of the Year by the Fresno County Bar Association for her work in the community to provide legal services to those in need. Throughout her career, Ms. Macedo has focused on civil rights and providing free legal assistance to low-income communities. More information about Ms. Macedo is available here.